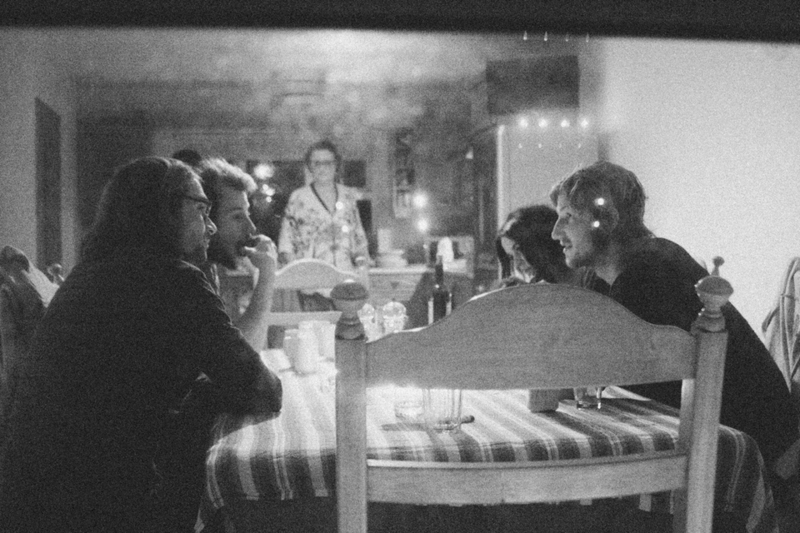 Photographer Ian Mitchinson and his wife Celeste invited a few friends and neighbours including Matt Bromley, Noah Lane and Tara Mc Gowan to their home for some heart warming wintery grub. Celeste even cooked visiting Matt a steak and Guinness pie all for himself since he liked the one she cooked for him last year so much. I tagged along and thought it was as good a time as any to get the tape rolling and ask Bromdog about life's latest ventures. Shambles: Can you tell us how Ireland features in your new film Risky Business? MB: Yeah, Ireland is a big piece of it. The first year I came here it was amazing but last year Guy Macindo and I were sat here looking at rain. 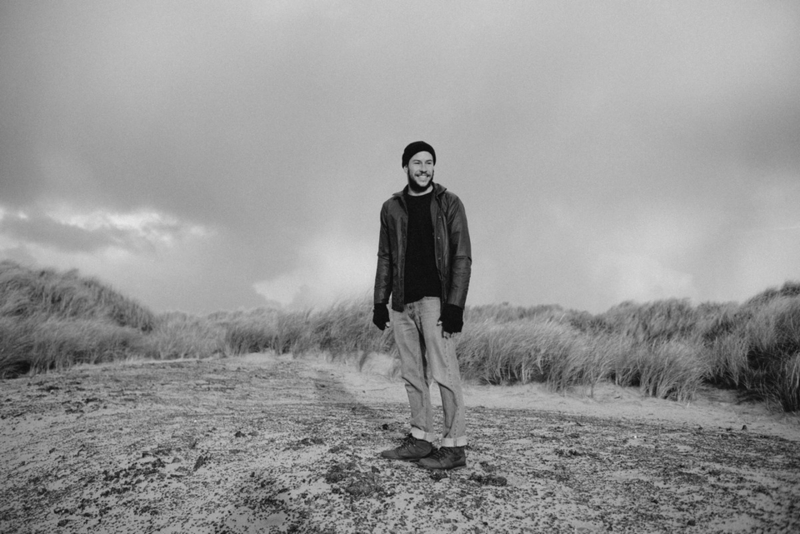 We went to Iceland and we got one really good session in Bundoran with Noah. Four or five of us were surfing in the water, snow mountains in the background and waves coming through that were definitely as heavy as Pipe, as perfect as Pipe. 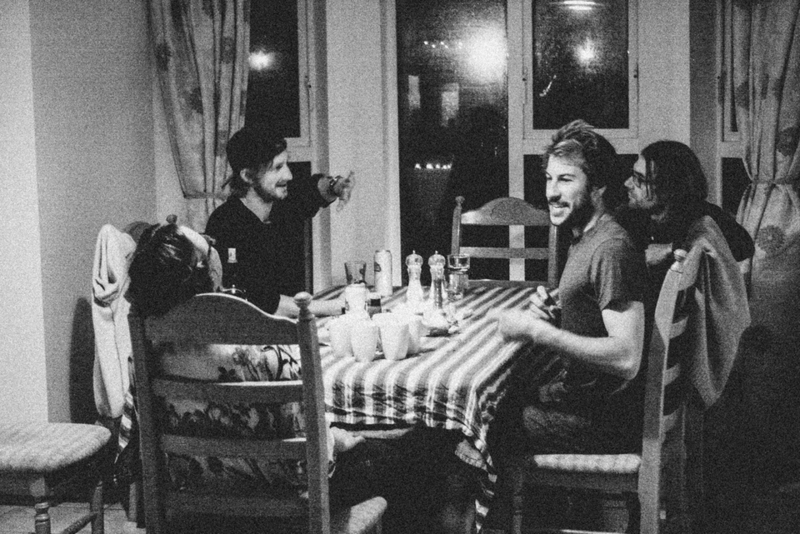 Shambles: You've organised a big film premiere in Bundoran this Friday. MB: Yes, frothing bru. I love the crew here in Bundoran. They are all so friendly, amazing people. I can't wait to get everyone together. Shambles: Everyone is amped. 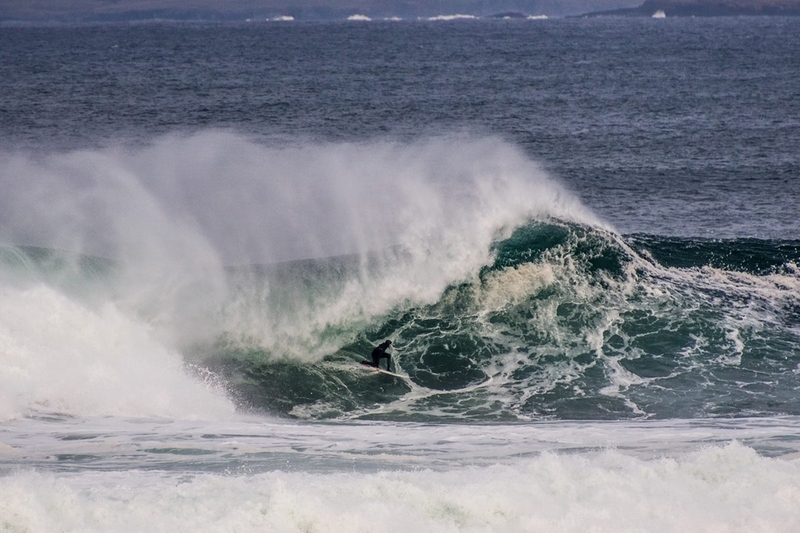 There's always a buzz around Bundoran when the waves are really good and the pros are over. So what can we expect from the movie? MB: Um. Some risky business? Shambles: That just about says it all. MB: We plastered the town with posters so hopefully people will come, and we put on a free bar tab. Shambles: I am sure it will be full. MB: Big shout out to Guy Mac for putting his heart and soul into this project for a whole year. It was his idea initially. I thought we would never be able to do it but we went out on a limb and it was incredible how it happened. There were a lot of uphill struggles but now we have his epic movie we can look back on for the rest of our lives. Shambles: Can we talk a little about your outreach program? MB: Yeah sure. I always believe you have been given a gift, you know, and mine was big wave surfing. You can use your gift to inspire other people to achieve their goals and dreams. I am an ambassador for the Nine Miles project, which is in False Bay near Cape Town. They go into the townships and help out. They see which kids have potential and bring them to school, teach them to surf, teach them leadership. They teach them how to help other people and are trying to equip these kids with leadership skills which can lead them everywhere in life. When I come back from a trip I set up a little presentation of videos and photos and speak to them. 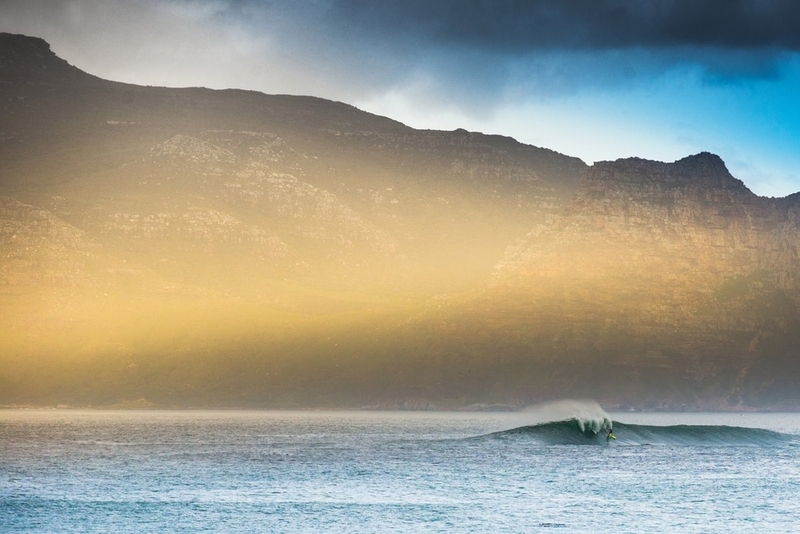 They only really know False Bay and the waves there so I tell them about Chopes and Jaws. There are lots of awesome groms coming out of the program edging their way into the national teams and things like that. Shambles: You have just come back from Portugal. How were the waves? 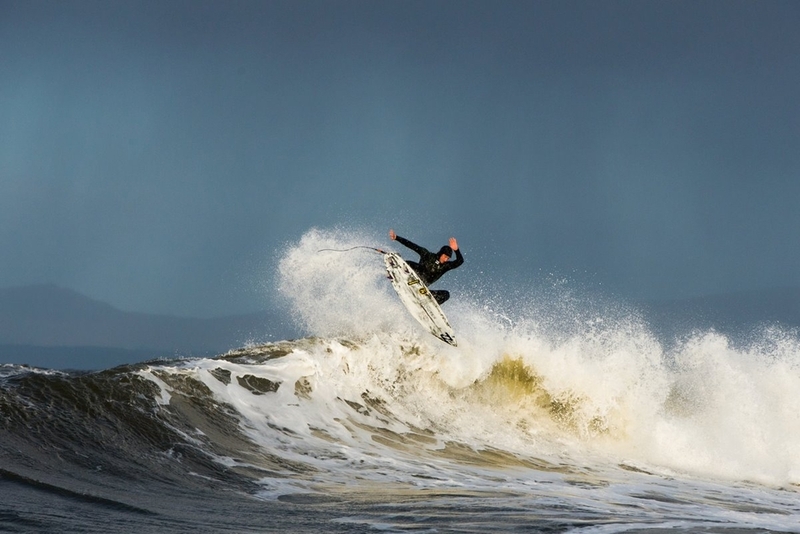 MB: Normally when you chase a swell you go there with the mindset of hunting big waves and you try and get ready for it. But I was just going over for the Lisbon Film Festival and I was cruising with Nic Von Rupp and he was like, 'You know, Nazare might break Saturday'. I was so rattled. I had no impact vest or board. 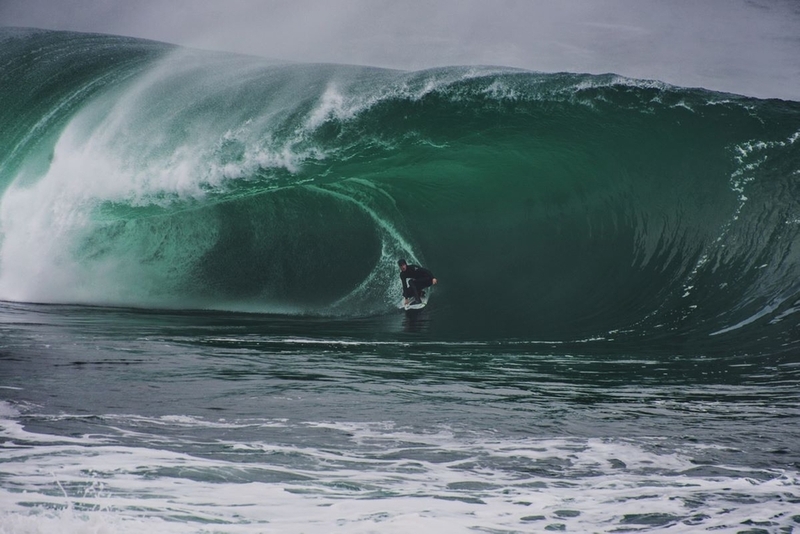 Barry Mottershead lent me his Patagonia inflatable vest and one of Nic's buddies lent me a 10' 6'' and then the next thing you know – I was in quiet Ireland – now I'm launching a jetski at the slip with Garrett McNamara. They have this lock up at the launch He is out there with just a pair of flippers dodging some of the biggest waves I have ever seen in my life. spot. You open the door and there are big wave guns, leashes, jetskis: it is the most incredible set up. I got a lift out with Kealii, a really awesome Hawaiian dude. He just dropped me in the ocean and there were some massive waves coming through, huge wedges. Some of them you think you are going to get caught inside by and they don't even break. Other ones double up and stand up really quickly and they leave you scratching for the horizon. Right next to us at the cliffs there were some 50ft waves coming through. Shambles: I heard there was a guy bodysurfing out there? MB: Yeah his name is Kalani Lattanzi. We were out there with our jet skis, impact vests and 10' 6''s and he is out there with just a pair of flippers dodging some of the biggest waves I have ever seen in my life. I am super excited to go back to Nazare. Shambles: Would you prefer to tow or paddle it? MB: It is kinda of all about the paddle scene these days. 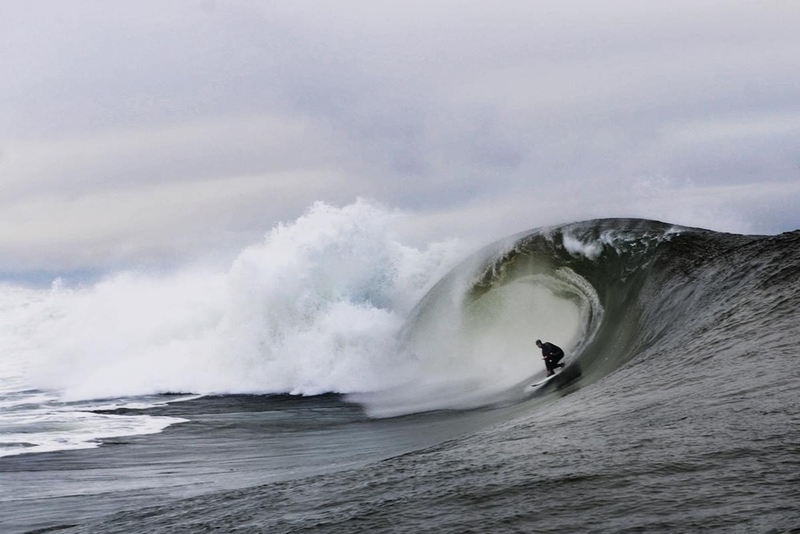 You can definitely paddle into the biggest wave of your life there for sure. You just have to put in the hours out there and sit in the right place. Garrett was doing water safety on the jet ski and he had a radio on his shoulder and he was radioing to guys on the cliff, 'are there sets coming, where are they coming in?' Then like he would tell me where to go. He would scoop me up quickly and bring me to another peak. It is such a dangerous place. There are really big undercurrents under the water that are taking you back out to sea. There is so much water moving. You see massive waves hitting the cliff and exploding. It is quite a difficult wave to judge how big it is. The faces are quite fat on a lot of them but they are massive faces. The wedge could miss itself and then dissipate into nothing or else it could double in size. A six wave set arrived in and the first one was like massive, maybe the biggest wave I've ever had on my head. Shambles: There seems to be an ongoing debate about wave height and Hawaiian measurement versus whatever else, but the important thing for outsiders to in understand in my opinion is that a 20ft wave is four times as big as a 10ft wave by mass. 10ft or 20ft only gives the wave height and says nothing about the volume. To a surfer both the height and the volume are important. At Nazare where you can legitimately talk about 20-40ft waves, the thing to understand is that a 40ft wave is not just twice as big as a 20ft wave, it is four times as big. Shambles: You got caught inside at Nazare right, you pretty much had a worst case scenario. M: Yeah, I had planned to stay super far out and avoid getting caught inside but I found I got more confidence when I got a couple of waves under my belt. Then I saw some of the jetski guys who were further out than me waving. They were like set, set, set. I was sitting on a peak closer in and I kinda went into panic mode, scratching trying to follow the crew. A six wave set arrived in and the first one was like massive, maybe the biggest wave I've ever had on my head. It landed right on me and sent me really deep and I pulled both ripcords on the inflatable vest. I got really beaten and I came up just before the next one. Sergio was racing on the jetski, the foam was almost on the back of his sled. I thought there was no way he was going to grab me and then he put his arm out and lifted me onto the sled. I was getting really blasted. I came up from that one really out of breath. The horizon was moving or it felt like my brain was moving inside my head. I was still attached to my board though and I could feel it starting to catch. This massive foamie was like tickling my ankles and then suddenly the board caught and ripped me straight off with no breath. I was getting really blasted. I came up from that one really out of breath. The horizon was moving or it felt like my brain was moving inside my head. Then this crazy Russian jetski driver was racing to me and also the foamie was right on him. By that time my leash had snapped, he scooped me up with the sled and then the whole wave came over the ski and I was holding on but the wave was trying to buck me off. Eventually it ripped me off again and I had no breath again. He said he was fully engulfed by the wave but he was just holding the accelerator with his eyes closed and he got out of there somehow. I came up and the fourth one was this evil 15ft double up wedge. I didn't have time to go under. I just stayed on the surface, pulled my limbs in and held my vest. That was actually the worst one because all my energy had left me. S: Well, that is what happens. You just surfed a full session and wore three giant waves on the head. That last beatdown is going to be the toughest. Tara Mc Guinness (local surf artist): Listen, do you ever think, 'I am never doing this again'. Shambles: You do, but then the next day you forget about it. MB: And when you get back to the beach you feel so alive. Tara: But do you though? I mean, if you had the same conditions in Portugal tomorrow Matt, would you go over? MB: Yeah, but I would hope it was a little bit bigger. MB: You try and prepare yourself mentally for it and when it happens and you are like, 'oh my gosh I shouldn't be here.' Then you have to take control of yourself and tell yourself to calm down and if you remember your training and your preparation, just go into the place where you are relaxed. I felt like I could have maybe drowned if I didn't have my inflation vest on that day. You know it is going to get you to the surface just that much quicker and you are gonna be sweet. Tara: Do people go out there with no vests? 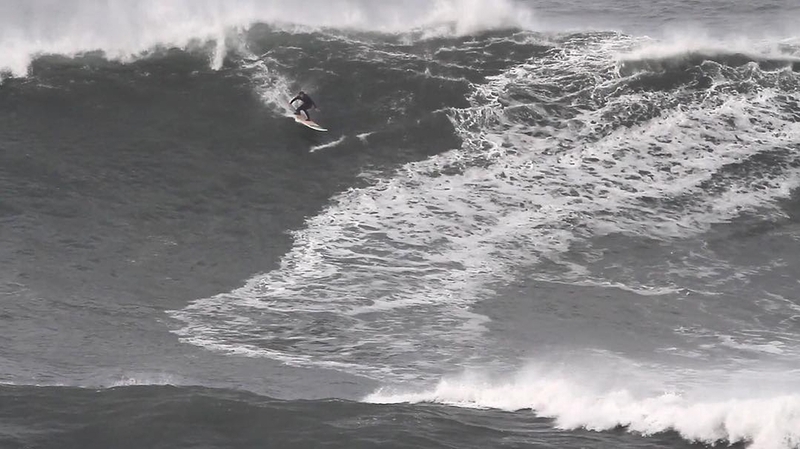 Shambles: How would Noah Lane handle a 30ft wave on the head at Nazare? Noah: I'm not sure, I'd probably just panic. I've never really been in a situation like that. I don't think I would surf Nazare at that size. It seems like the waves have a lot more volume there. Mr Lane points that signature blue nose to the sky. MB: At Nazare there is no safety zone, it's just random. There is so much water moving under the surface. The safety guys there on the skis are so cool. Every time a guy went down they got your back. They race in and if they don't see you then the crowd on the cliff are pointing and waving the guys in. So you feel really safe, as safe as you can. Shambles: Did you see other people get some waves that day? MB: Kealii who was doing water safety jumped off and caught like the wave of the day, a big left on his backhand. Super steep drop. I saw Nic von Rupp get a few really sick ones. It is cool watching him because he is applying his slab skills to big waves. He is taking off super steep and late. It's really sick. From the beach it looks really smooth but when you're taking off our there, there are one foot chops hitting you. There is so much going on and you gotta be ready for anything. Shambles: I think that's where big wave surfing is going. You have had the new discoveries and advancement due to jetskis but now paddle surfing has arrived and that is where the progression is at. You have a paddle event at Jaws now. MB: Yeah and the ladies are in it now as well. Shambles: The progression is happening now in small steps, session by session. MB: You think that guys are psycho and they will go on anything but still on the biggest days there is still a lot of waves that nobody wants. So it is pretty cool, there is room for progression too. I mean if you're at Mully and it's massive, there are going to be a lot of waves that go unridden. 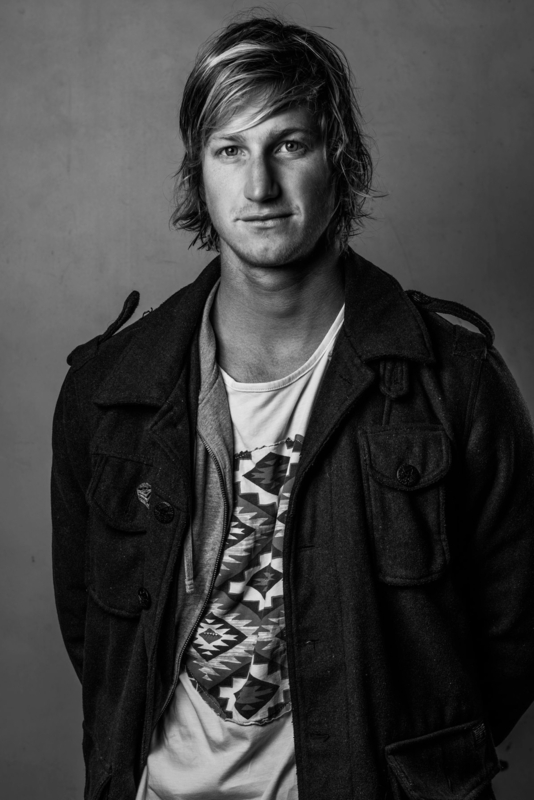 Mully is an insane wave, I'd like to see it bigger. I heard the takeoff gets real hectic. 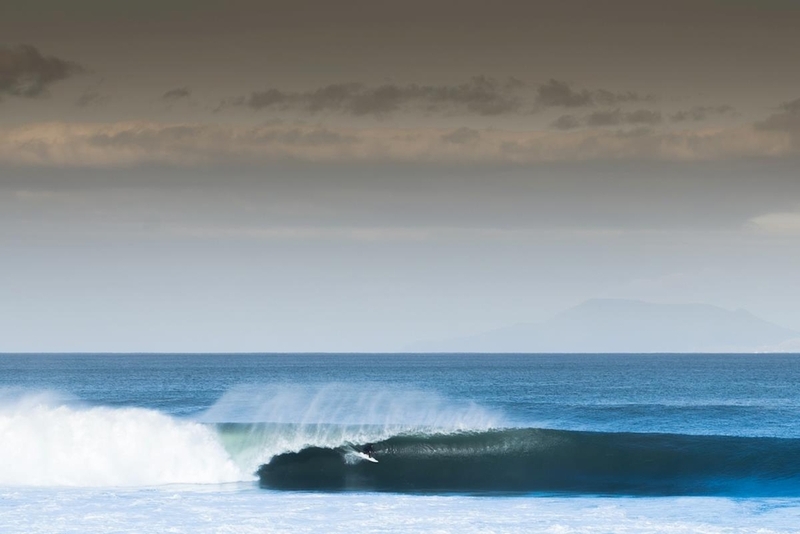 Normally with big waves you are quite close to the channel and when you take off you know you are going to make it but at Mully the best ones look like closeouts and you know you have to thread through a massive barrel and then go over ledges and the bottom of the wave is dropping out with boils. Noah: I think it's so cool too how this country is so forward thinking with the relationship between the bodyboarders and surfers. It seems to always push the level higher because the surfers are seeing what the bodyboarders are doing which you normally don't see if you are just surfing among a pack of surfers. You guys do stuff surfers don't do, you know. 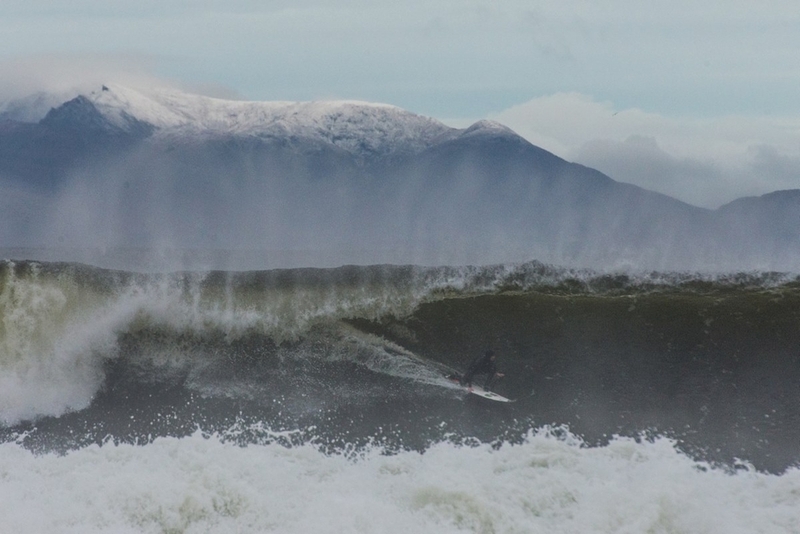 Shambles: I am so impressed with how the surfers in Ireland have progressed with the paddle-in stuff. 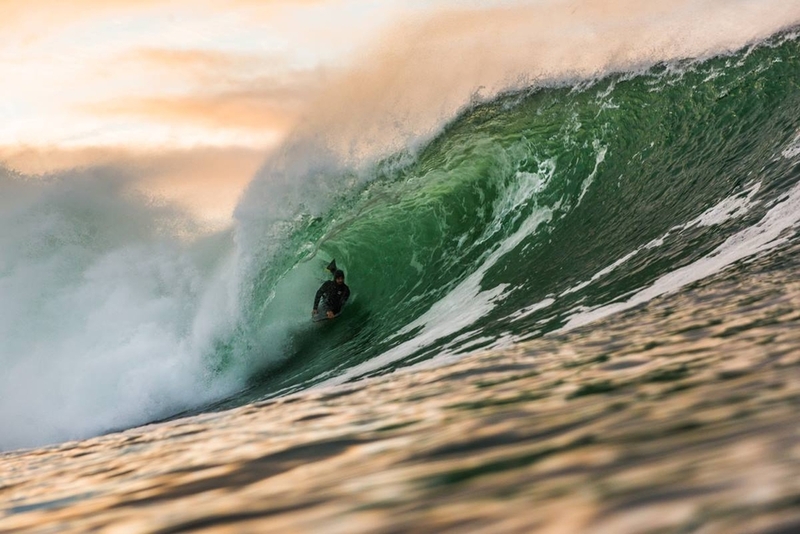 I've seen people tow-in to serious waves at Mully and get barrelled but I would be way more frothing to see you or Matt casually stroking into a big one and style through a drop and bottom turn and just park it in the barrel. That is what will look amazing and that is what I want to see. Noah: I remember the first time I saw all the Mully stuff and I was like I am never going to surf that. MB: Now he is a big wave Dave, just waxing up his 9' 6'', ha ha. More of this. That's what the boys want. Shambles: Backwash number two is out soon. NL: Yeah. It has just gone to print and we have the launch on December 1st in London. It is looking pretty amazing. The first one was pretty special. MB: Is Backwash run all by surfers. Noah: Yeah. There are five or six of us. Shambles: And you have planted a few trees on Fergal Smith's land. NL: Yeah. We planted 1000 trees so far. We plant a tree for every copy we sell so hopefully we will sell another 10,000 or something. Shambles: That is truely awesome mate. Practising giving before taking. Matt – thanks a lot for the interview and best of luck with Risky Business. Can someone pass me the sweet potatoes? 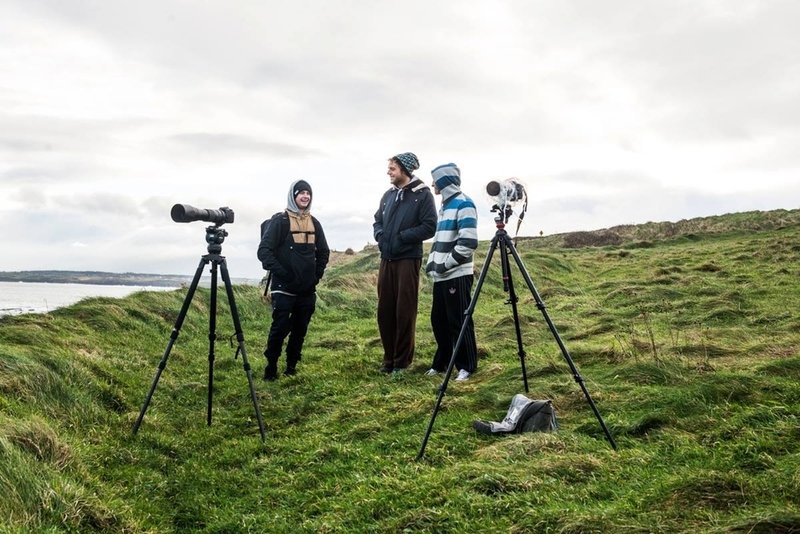 Matt Bromley and Guy Mac's Risky Business will be premiering tonight at the Eclipse Cinema, Bundoran. If you're lucky enough to be around, go check it out. 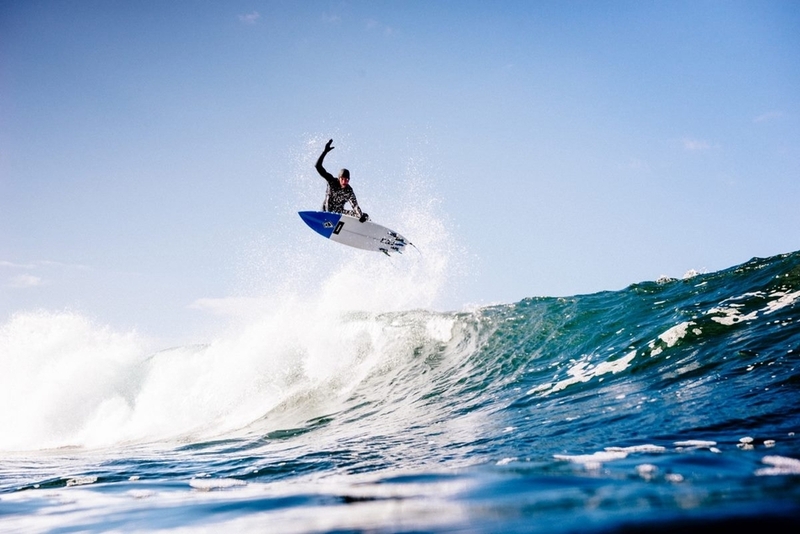 Maui's young gun lofts to victory.